Noise, Noise, Noise, Noise! grumbled the Grinch… and I feel his pain. One of the challenges of building a recording studio is noise. We live in a very noisy world. One way we deal with noise is to put noisy things in a special room which can be isolated from the recording environment. Here at the Mad Lab we have a utility room where we keep our server farm, CD/DVD production robot, air-handler, and other noisy things. The trick is: How do we keep all that stuff quiet? There are two things we want to do to this room: Reduce the noise inside the room as much as possible and then prevent whatever is left over from leaking out. 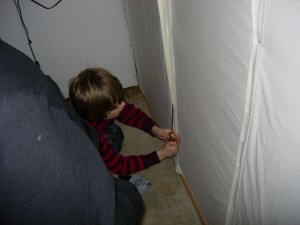 The first step to treating the room was to significantly increase the density of the walls. At the same time we wanted to increase the structural integrity of the paneling on the opposite side. What we did was to add a thick, dense layer of work-bench material to the outside of the wall directly behind the paneling (another story we’ll post later). The next step was to add sound absorbing material to the inside of the room to absorb as much noise as possible (and convert it to heat). The thinking behind this is that the more sound we can absorb the less sound there is to bounce around the room and leak out. In addition we decided to put physics to work for us and install this material so that it is suspended from the studs flush with the inside of the wall leaving an air gap between the insulation and the outer wall material. This accomplishes two things. 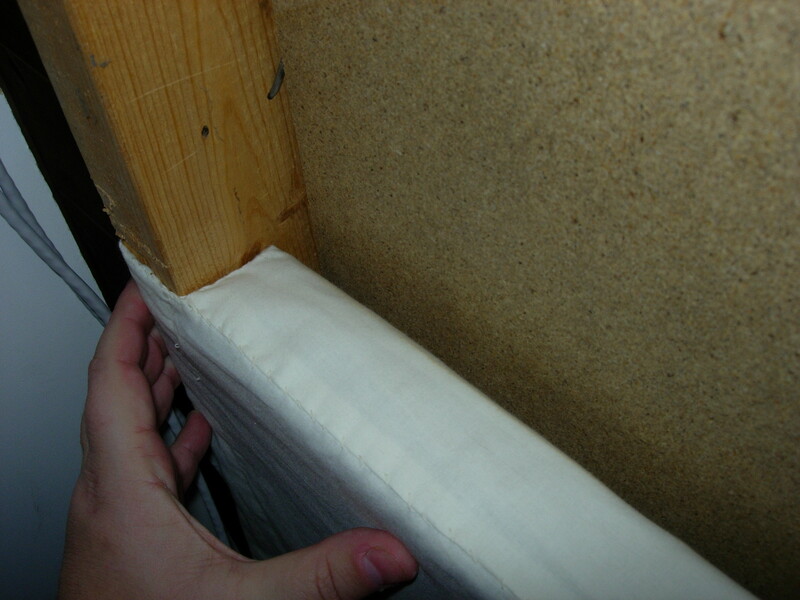 The insulation on the inside surface is mechanically isolated from the outer wall structure thus preventing any (most) mechanical sound transmission. Also the air gap represents an additional change in density so that any sound attempting to travel through the wall from the inside experiences at least three separate mediums (more on this in a moment). 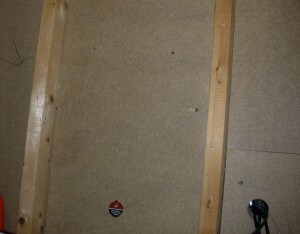 We did some research and contacted our friends at Sweetwater to purchase some Auralex mineral fiber insulation. Then to make it easier to handle we had our friends at Silk Supply Company precision cut the material and manufacture fabric covered panels. 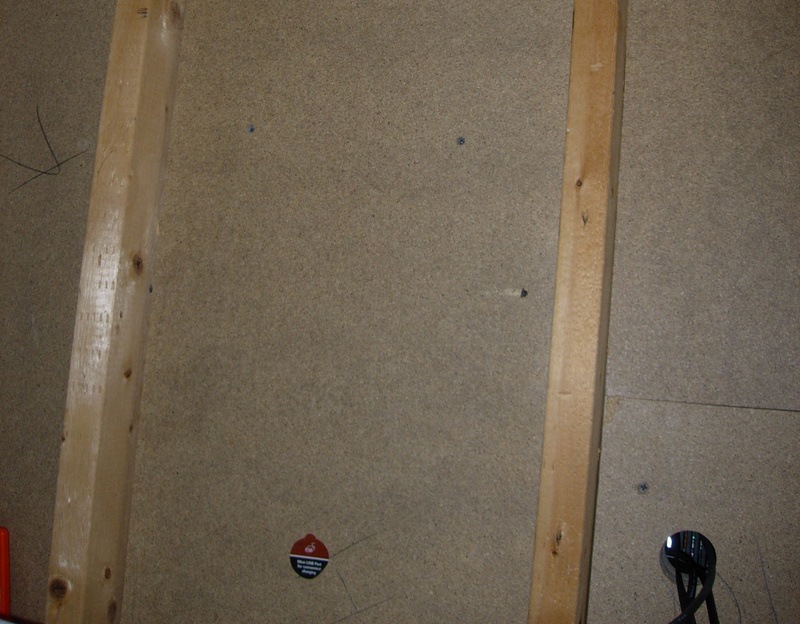 The custom made panels fit perfectly between the studs and leave a gap of about half an inch between them and the dense outside wall. When sound attempts to escape through the wall three things happen. First a lot of the energy is absorbed into the mineral fibers — the fabric covering is acoustically transparent. 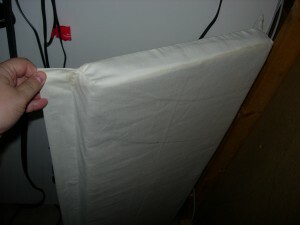 This significantly reduces any echos inside the room and converts a good portion of the sound to heat. This effect is enhanced by the loose mechanical coupling of the installation. Since the panels are suspended from the front surface of the studs any mechanical energy that might be transmitted through the studs is first significantly attenuated as it travels through the mineral fibers to the edges. Second, any sound that makes it through the insulation escapes into the air gap where the change in density causes the sound to refract… well, sort of. The size of the gap is very small compared to the wavelength of most sounds so most of the effect is really a mechanical decoupling of the mineral fiber and the hard surface of the outer wall material. Third, much of the sound in the air gap is reflected back toward the mineral fiber by the smooth, hard surface of the outer wall material. In addition the density of the material further attenuates whatever is not reflected. Since one of my goals was to attenuate the noise inside the room (and for a number of other reasons) I didn’t want to go the more conventional route of adding thick layers of drywall. In line with this, the fabric covering has a few additional benefits. 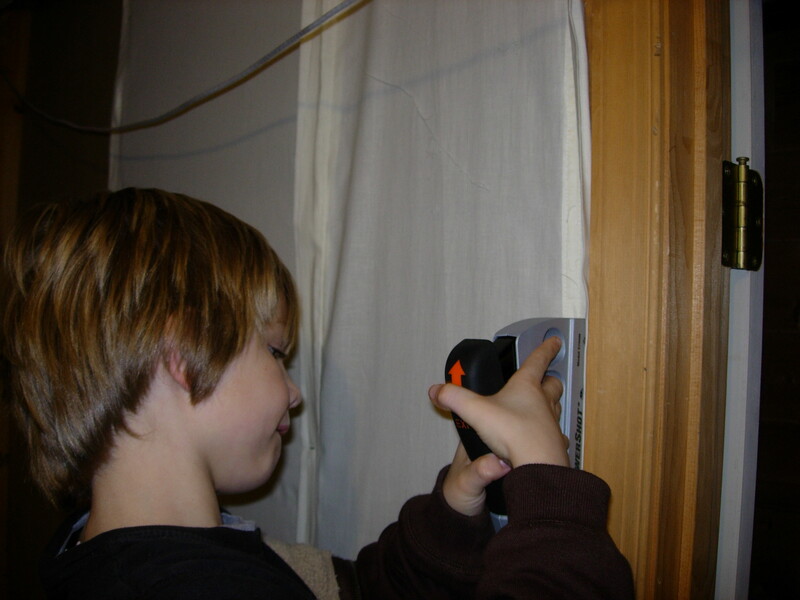 To start with the installation is much easier to install and if need be it can be temporarily removed by pulling the staples and tugging the insulation out of it’s slot. This might be useful if I need to run any additional cabling, for example. In addition to that the fabric reinforces the mineral fiber and keeps it well contained so it doesn’t sluff off into the room over time. As usual I enlisted Ian and Leo to perform the installation. They had a lot of fun exploring the change in acoustic properties by alternately talking in front of sections where they had installed the panels and sections where the panels were not yet installed.